"Kosenkaku" is one of the Onsen Ryokan which has its own hot spring in Arima. This is a Japanese Ryokan recommended to those who would like to enjoy the famous hot springs as much as you wish. After you go through the gates, a lobby with a view of the mountains will welcome you. Please enjoy the panorama view of 20000㎡ land that stretches out underneath, the best panorama view of the nature in Arima Onsen area. 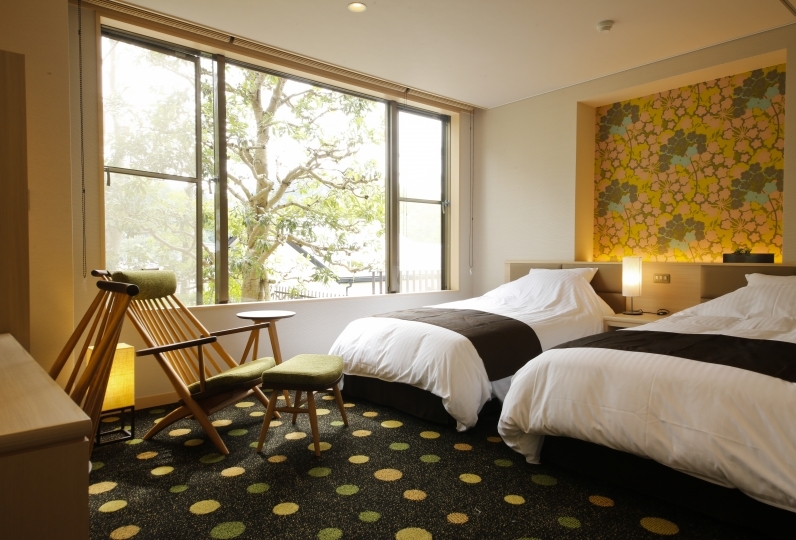 The best parts of the Japanese style guestrooms, are its size and the scenery. All rooms are spaced over 12㎡ and will promise our guests a comfortable place to rest. Also, the supply of Onsen water at this Ryokan is endless. The spas are filled with 100 "Kanaizumi", red hot water that represents Arima Onsen. 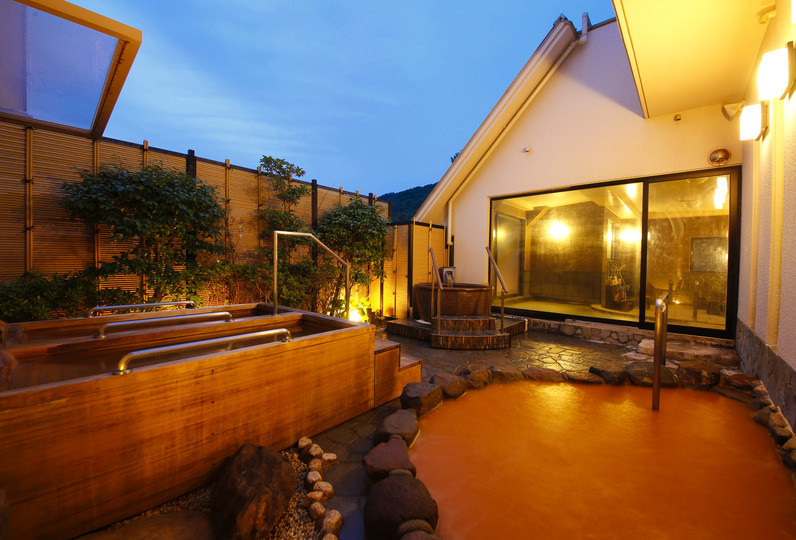 Get rid of the daily stress in this Onsen which has various benefits, like recovering from fatigue. Enjoy your vacation in this quiet place surrounded by the mountains of Arima while bathing in the famous onsen water. Nice place to stay and hot spring is good. I was able to stay at ease though it thought that I was sorry very softly and very friendly to the children who make noise. There was also troublesome for children, I did not enjoy the hot springs, but still I had a very meaningful time! Thank you for a nice holiday! French Cuisine cooked with carefully selected ingredients that will be served at the "Lodge" in the nature. Please enjoy your meal in a relaxed manner in the restaurant made out of wood. 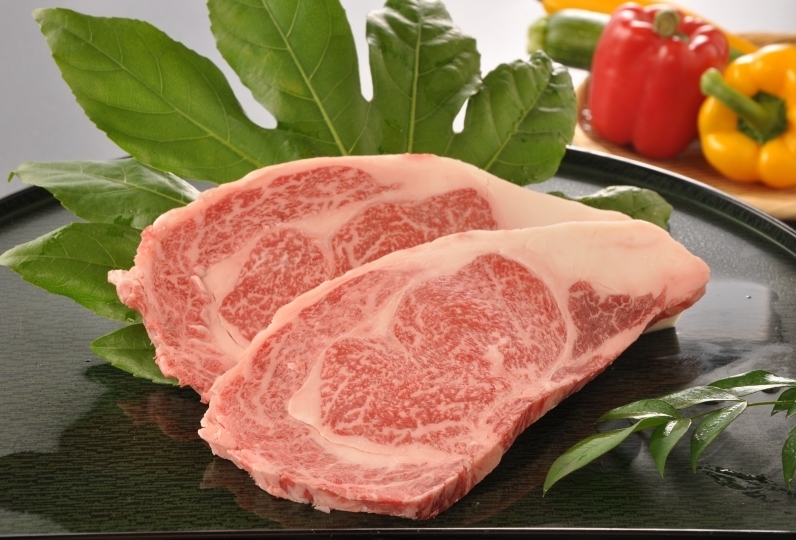 A satisfactory course will be served with Kobe Beef Brand Kuroge Wagyu, and other dishes cooked with seasonal ingredients. The restaurant is open as a cafe from 14:00-17:00, and a lot of people stop by during their walk in Arima Onsen to enjoy some "Special Homemade Dessert" at "La Fontaine". 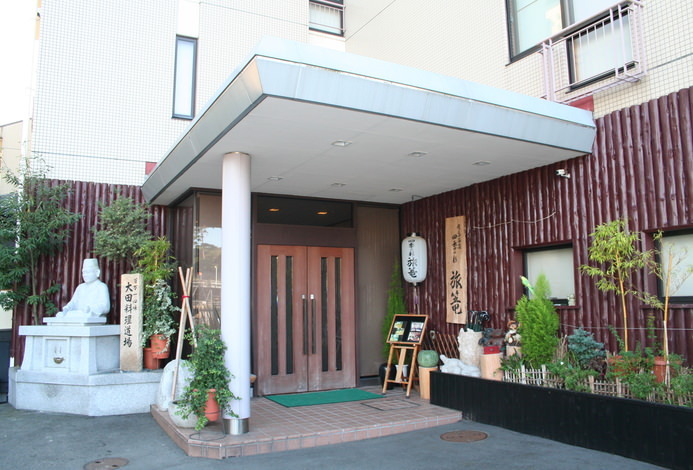 This is a restaurant where a lot of tourists who come to Arima Onsen stop by as well in addition to the hotel guests who are staying at "Kosenkaku" and the "Lodge". Enjoy some Japanese Vegetarian Cuisine in this Japanese style house in the garden, surrounded by nature. A set of approximately 10 dishes of vegetarian cuisine which does not use any fish or meat will be served as a set. "Ikemori Namasu" is one of the dishes that represents this set. You should be able to enjoy this graceful but naive taste of the carefully cooked dishes. There are private rooms in the dining, which is perfect for receptions and celebrations. Please spend a comfortable time relaxing while enjoy your meal with the view of the Japanese garden. Arima Onsen is one of the 3 Ancient Hot springs of Japan. 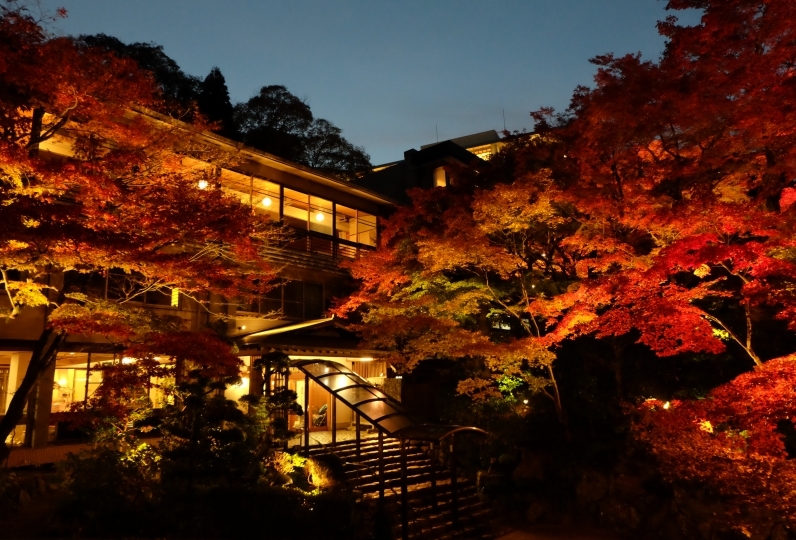 It is also elected as one of the 3 best hot springs in Japan, for its Onsen quality. Kosenkaku is one of the only Onsen Ryokans that have its own hot spring in this well rated onsen, Arima Onsen. Enjoy the hot Kanaizumi onsen in the 2 spas: "Iwaburo" with over flowing hot water and "Hakkakudo" a spa with a view of the nature. Please ask the Ryokan for more information about this. After arriving to Arima Onsen by either, the train (Kobe Dentetsu → Arima Onsen Station) or by bus, please call the Ryokan. We can also pick you up at Zuihoji Park or the Ropeway Station. The plan fees do not include bathing tax of 150 yen.